The first month of a fresh year had to be special. I was pretty excited about January 2018 right from the middle of December 2017 as it had something special to offer. Attending MakerFest has always been an exciting experience. I was not able to attend MakerFest 2017 because of some personal reasons but I was totally determinant about MakerFest 2018. New venue, new audience, new function areas and a team of new Mozillians (I had not met these folks earlier) had raised my spirits. 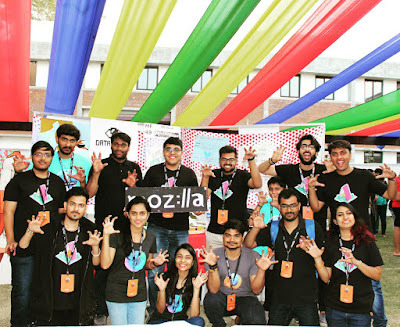 With high ambitions, we started off with the Mozilla presence at MakerFest 2018. We spoke about many different things at the Mozilla booth; some of which created a buzz in the entire arena. Firefox Quantum, Mozilla VR, Privacy and Security, Rust, Web extensions, Locations and what not. The confidence of the Mozillians and the enthusiasm of the audience was just perfect. I enjoyed the MakerFest 2018 and the expectations are getting higher and higher for the future variants. Setting foot outside your house on a typical Saturday morning could be boring at times but this was not the case on 20th January. Reason being, the much curious and super awesome participants at the Mozilla VR workshop at the Anibrain School of Media Design – Pune. Right from exploring the A-frame application source code to building a VR application using A-frame were the scenes at the venue. It was not just the students who were eager to learn some cool VR stuff but also the in-house professors and trainers of the school. An active content and a positive audience is something which makes a session perfect and this kind of mixture was seen at the venue. It was a wonderful experience being the event speaker and I would really appreciate the facilitation by Pratiksha and Srushti at the event. I am very thankful to the Faculty of Anibrain School of Media Design for inviting us as the event speakers and for presenting a vibrant participation and warm hospitality.